17th Challenger – Electricity Pylon | Rodposse. I love the many geometric and graphic possibilities that these structures present. Great photo. Great view and excellent symmetry. When I look into a kaleidoscope I see the same pattern….and…..viceversa,when I look at your photo……etc.etc. Carl, this is a fab photo. Good luck to you. Carl, it has a bit to do with how many followers and likes we have normally – and of course there are those that vote for every photo entry and that is a very nice touch. I think your photo is brilliant – I have taken a photo of the Eiffel Tower like that – came out great. Forgotten about that one -could had taken that, but I think my lamp is a fantastic shot. 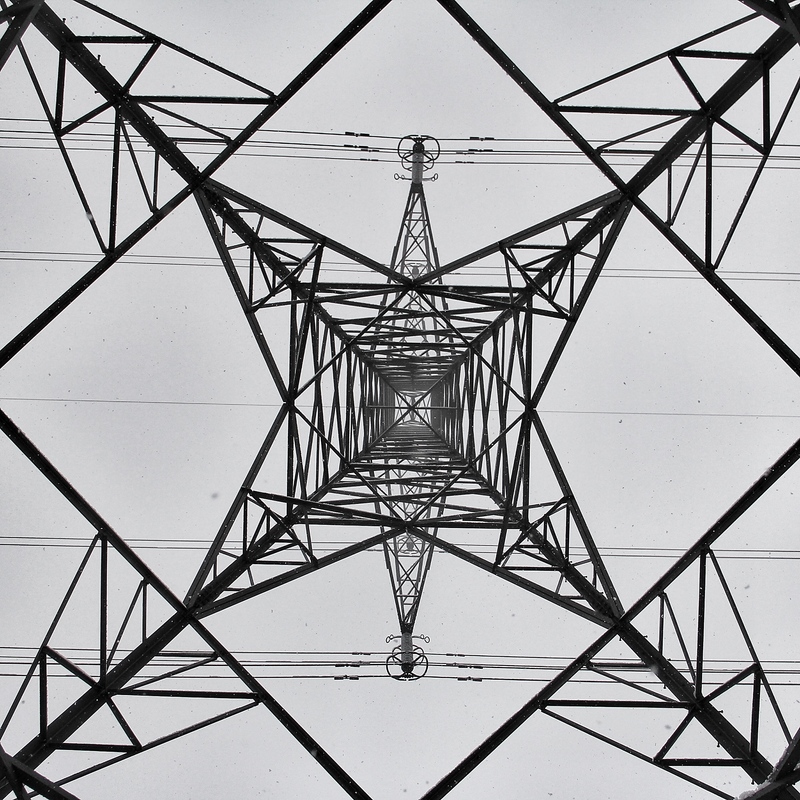 Those amazing patterns represent the structural mechanics involved in holding up several tons of cables carrying 66,000,000 volts as they march across the countryside. This has got to be top 3. Top job.